Zen Studios is fresh off an exciting and successful E3. Although our presence was modest, we still made a big impact. 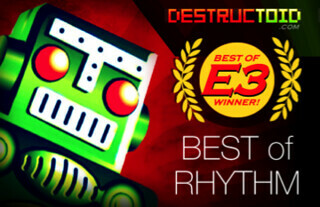 KickBeat for PS Vita won Destructoid’s Best of Rhythm E3 award, and Zen Pinball 2 was nominated for Best of E3 2012 by IGN and Best Portable Game by Destructoid. 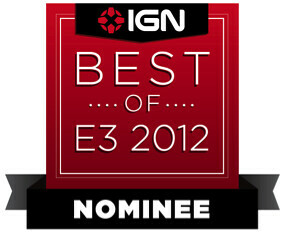 We are extremely honored to be included alongside the industry’s best! KickBeat sure received a positive response at E3. We think it’s because there is nothing else like it, and a lot of people caught on to that. There were also some people who simply told us we were crazy when they watched us play, but once they got their hands on the game they had BIG smiles on their faces. We have some new video that was released right before and then during E3, we wanted to make sure you guys got a chance to view as well. The first video is the intro story chapter to KickBeat, setting up our Kung Fu style cheesy story. All of these story scenes are hand animated, and yes, we hired professional voice actors. As a matter of fact, at least one of the actors we’ve used came by the Sony booth to say “hi,” as they are all from Los Angeles. The next video is actual gameplay, set to “I Can’t Wait” by Celldweller. The game is being played at a high difficulty, so you can really see how the game looks when played at its fullest potential. The next few weeks will be very busy for pinball. The new Marvel Pinball: Avengers Chronicles pack will release next week, and we will have some detailed info to share on Monday (along with a NEW trailer). Zen Pinball 2 should be out in mid-late July for PS3 and PS Vita. We also want to give a big thanks to our friends at PlayStation for showcasing Zen Pinball 2 on PS Vita in their E3 booth. This was our very first time having our own setup at E3, and it was a total blur – in a good way! Nine hours of nonstop meetings everyday with seemingly every member of the gaming press, Five Hour Energies, and zombie hands (thanks to our Concourse Hall neighbors, Telltale Games and the amazing The Walking Dead Game which I hear was #1 in May on PSN. And that’s just a taste of what our week was like! Speaking of the PlayStation booth, by the end of the show everyone was wearing the first piece of Zen Studios swag – some really comfy slippers. We do not wear shoes in the Zen Studios office. We wear slippers! They are much more comfortable and relaxing, and these are actually the same style worn in the office. It’s pretty funny, but a lot of people have been Tweeting us pictures of their feet, and a lot of our followers have been asking for these so I think we might actually start making them available on our website. Let us know if you want them as well. Does anyone know if Vita will accept those who have Marvel Pinball free through PS+? Will it work or will we need to buy Marvel Pinball so that we may play the Vita version? Helló! Tervezitek hazai előadók számainak a játékba foglalását? (Bobacrome, vagy bármilyen electro stb) Vicces lenne! We thought about getting a song from a Hungarian band like Tankcsapda, but in the end we had to put aside our patriotism in favor of a lineup of artists that had more universal appeal. Most of our pinball game soundtracks are by Hungarian composers, though! I have bought all Zen Studios games, even on other platforms. Now all i need are new slippers! do it please!!!! We’re working on making them available to fans. Stay tuned! disappointed though that castlestorm aint coming our way. It will be on both PS3 and PSVita eventually. Oh yeah! slippers would be awesome while playing MP and ZP! that’d be soooo cool do it! I’m really looking foward to the release of the Marvel Pinball: Avengers Chronicles tables. I love MP (I own all the tables) and play it more than any other PSN game I have bought. Keep them coming! I thought I had read before that KickBeat will allow you to import your own songs and use the beats in the gameplay. Is that the case? Yes, you are correct! There will be 18 songs that come with the game and that are scripted by hand, but you’ll also be able to generate tracks from your own music. (wuz up) dont care to much for the pin ball. i want to hear more on old skool psp games, and Psone classics coming to vita. thats bout all i care about rite now. psvita games cool and all but my old skool final fantasys come first. and i still have psp games that want work on my psvita. I just want to know wats the hold up wats taken so long. Thanks for the heads up Zsolt. Love Zen Pinball and can’t wait until 2 comes out for both PS3 and Vita. Keep those tables coming ! castlestorm woot!!!!! thank you thank you!!!! take my money!!!! thats for kickbeat, zen pinball 2 (which i will get for free anyway cuz of zen pinball one), avengers, castlestorm and my new house slippers!!! Looking forward to Zen 2 a lot! The fighting style in the game draws on influences from various disciplines, especially the acrobatic ones such as Muay Thai and Capoeira. Kickbeat looks like a lot of fun! 18 songs seem like a small selection but maybe I’ll change my mind when I play it! I think you will find it to be a good amount of content for the price, especially when you consider that you can use your own music in the game as well. When deciding the number of songs to include, we looked at games like Elite Beat Agents, a great game that has 16 songs + 3 unlockables. And, unlike EBA, we also have the original masters, rather than cover versions. I’m a little upset and confused at the same time. Wasn’t it qouted by Zen reps that Zen Pinball 2 and the new tables were releasing together for PS3 and Vita, AND in May? What the F? I feel a little cheated. Is it because you wanted to see results at E3 first? Ads have been up since April! At least now I know that I can spend this money that i’ve been saving since April 15th on some new Pinball Arcade tables. It’s called baiting and hooking people. Now you’re quoting next week/July? Wtfe! We would have loved to release the Avengers table pack and Zen Pinball 2 at the same time that the Avengers movie came out last month. However, we haven’t been able to get the game finalized, as giving players the ability to import all their Zen Pinball/Marvel Pinball content into both the PS3 and Vita versions of the game for free is a little bit complicated on the development side. If we had finished the game, we certainly would have released it already! We certainly have considered this type of product. We had a creation tool in Planet Minigolf that was well-received. However, creating pinball tables (at least, somewhat deep/complex ones) feels a lot more like work, which makes us wonder how big the audience for it would be. As far as RPGs go, we’re looking to build on what we did with the Epic Quest table. Congrats for the amazing job! Just wanted to give a thank you to Zen Studios (and all the other companies) that allow Sony to give me and all Plus users their games at no extra charge. I really appreciate it, and when I really enjoy the games…..like Zen’s Pinball offerings, even though money’s tight, I try and show my appreciation by buying the DLC for those games. The game looks fantastic, and I will buy it on day 1. I was think it was a Vita exclusive but the L1/R1 buttons on the gameplay video lead me to believe it’s also on PS3? Also, if you don’t mind answering, how is the game actually played? I’m still trying to wrap my head around it from the video. Whenever people are circling you, you just tap a kick button in any direction? Does it matter what direction? Does it go in a direction automatically for you? Do you kick at a certain time? It seems from the video that the kicks match a certain rhythm from the song, but does it matter what rhythm? It is a Vita exclusive. 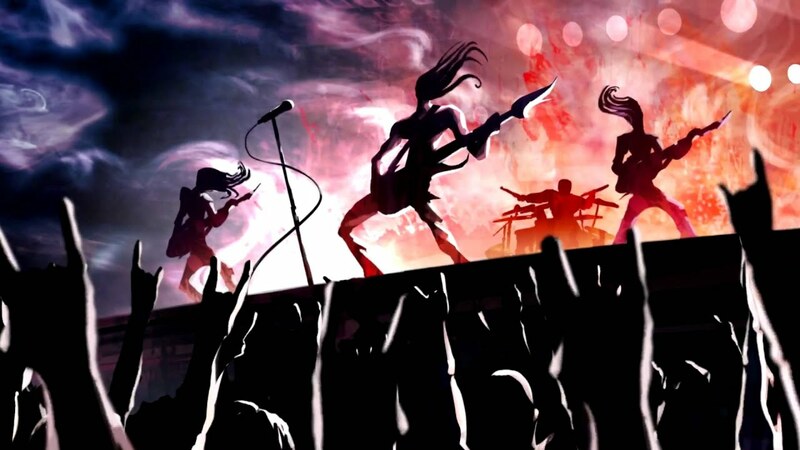 As our creative director mentioned in an early PS Blog post (https://blog.us.playstation.com/2012/05/23/introducing-kickbeat-a-music-combat-game-for-ps-vita/), we’ve been working on the game for about three years, long before the Vita was around. Development started on Playstation 3, so we still have some PS3 button icons, etc. that we haven’t changed yet (naturally, these will be fixed before we release the game). As far as gameplay mechanics go, the earlier blog post also describes how they work (a button for each direction, timing according to the enemy’s position, enemies scripted to the beat and other musical elements). I originally owned 6 of the Zen Pinball tables. Then when I heard that Zen Studios will be supporting both PS3 and Vita with a free Update I was thrilled. I decided that over the next few weeks, I would download every table you have published on the PSN to show my support. However, with that said, I crunched the numbers and now that I have downloaded the last table (I literally just downloaded it) I am in for $52 and I will go on to pay $10 for the Avengers tables. I know others who feel the same as I do and in turn, they have been working to get all the tables as well. So with such support coming from our end, maybe I could tug on you heart strings and make a request? Maybe Zen could consider a PSN Exclusive Table like Little Big Planet? Help support me to support you to support me, so I can go on to support you even more. Here is another question will it work with Music Unlimited? No, as far as I know, they don’t provide a way for games to access the service. I had a chance to play this at E3 and Wow this was a beautiful game! I don’t own it on the PS3, but thanks for Jeff and the Blog Meet-up I got into E3. I played this and I thought to myself why didn’t Sony show games like this a the Press Event instead of that whole Book game no one is going to care about. Sony’s motto is Never Stop Playing, not Never Stop Reading!! Congrats on the awards!! Thanks! Hopefully, we’ll be able to show the game to more people at PAX! Nice to give us an update on Zen Pinball 2. Here’s hoping that Zen Pinball 2’s July release date would be more towards the middle of the month (as I’m hoping that this will be among the Vita games that I’ll have on my system when I go to Otakon near the end of July). Whens Foosball 2012 coming out! @9, wazzup, please stay on topic! Mid-July… I will be charging my friends $.25 per pinball game. 8) Can’t wait to see the new V2 menu screen; great job designing that! I love Zen pinball and have bought every table since they came out . How about showing the Playstation Home users some love and bringing Zen tables to Home ? Hi Zsolt, thanks for the update on Kickbeat, it looks great and I’m looking forward to getting this day one. Did you get a chance to see the logo I did for your new podcast – used to be called PSNation (lol). Want to hear from you guys again, maybe on the release week for ZP2. Does this confirm, as I’d hoped, that all the older Marvel tables I got for free through PS+ and the newer ones that I bought to support the free ones, will work on the PSVita version of ZP2? I don’t have any of the original Zen tables yet, so will ZP2 still come as a free update with the Marvel tables, or do I need to purchase it? Or would buying the Zen tables be the easiest way to access Zen2? Really looking forward to the Avengers tables. Thanks! Zen Pinball 2 is a free download – it is only the content that will cost. Any content you have already purchased (Zen Pinball, Marvel Pinball, and add-on tables for those games) will be imported for free into the new game, and some of those tables will receive texture upgrades and bug fixes as well. I am not 100% sure on how PS+ content will be treated, but my understanding is that if you got Zen Pinball/Marvel Pinball for free as part of PS+ and have an active PS+ subscription, those tables will import for free into ZP2 as well. Hi Zsolt, as You may know, gamers will always look for the best opportunity to use as hard setting as it is possible. You’ve got Through the Fire and Flames on hard in RockBand, or Scatman songs in Singstar. I’m wondering, did you try to play KickBeat to the fastest song in the world? I mean Moby – Thousand. Question, when will Zen pinball be released cause i thought it what last month but that whasn’t it so i hope soon if some 1 can give me a date that would be cool. i cant wait! ill be honest, im more of an authentic pinball fan and when i played the demo a long time ago of the first one i wasnt too sure about it, and i really dont like the contrails on the ball. but ive been looking for some good games on my vita and i think this will be another great game to take on the go! does anyone know how many tables theres gonna be all together to download once it comes out? You can turn off the ball trails in the options if you prefer. There will be 26 tables available at launch, if memory serves. *cough* HOWARD THE DUCK *cough* – Just keeping the dream alive. Thanks for the reply, Zsolt! In that case, I’ll probably start working on purchasing all the original Zen tables in anticipation of playing them on the Vita. This is gonna be awesome! Been really looking forward to the ZP2 release as I know I’ll be playing that a ton more on my Vita than I likely will my PS3 which is great as I need some more games to play. Must say I’m quite looking forward to Kickbeat now. Heard you guys talking about it on the PSNation podcast a while back and wasn’t sure if it’s be something I would really enjoy but that game play trailer above I think sold me on it. Seems like the perfect Vita game give the rounds are essentially as long as the song is.